A gifted Spanish statesman of the fifteenth century who attained the highest military rank, that of Grand Constable. With Chancellor Don Juan Furtado de Mendoza and Don Abraham Benveniste, he exercised for many years unlimited influence over the young and weak king, D. Juan II. of Castile. Throughout his life Alvaro was a friend of the Jews and protector of the Maranos, both of whom were promoted by him to the highest offices. 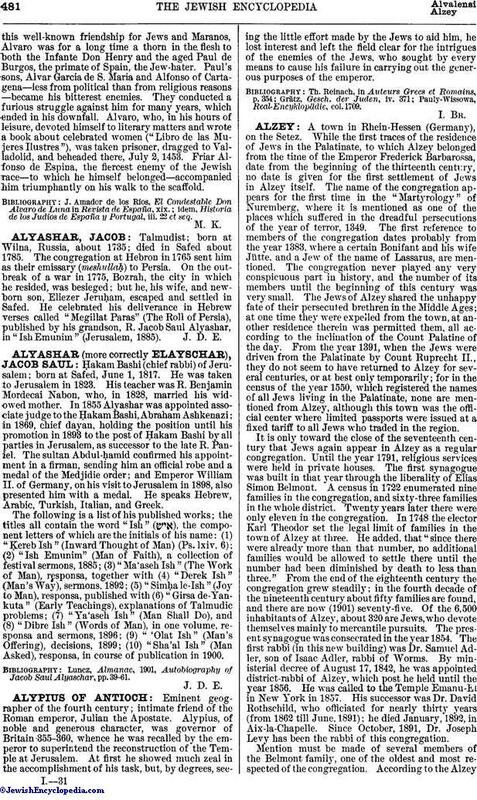 Abraham Benveniste, with whom he was intimately associated for thirty years, and Joseph ha-Nassi were appointed by him as farmers-in-chief of taxes. Of the Maranos, Diego Gonsalez was made general receiver (contador mayor); Diego Arias Davila, manager of the royal revenues; Juan Alfonso de Baena, royal private secretary; and Juan Pacheco became through him the trusted companion of the king. 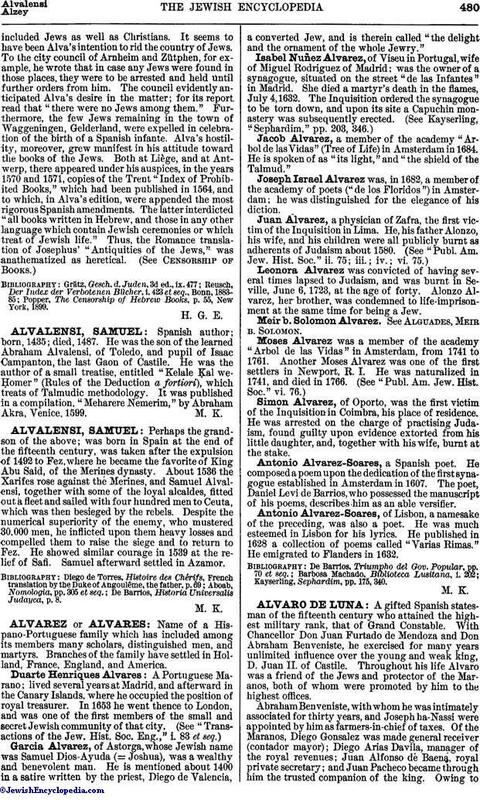 Owing tothis well-known friendship for Jews and Maranos, Alvaro was for a long time a thorn in the flesh to both the Infante Don Henry and the aged Paul de Burgos, the primate of Spain, the Jew-hater. Paul's sons, Alvar Garcia de S. Maria and Alfonso of Cartagena—less from political than from religious reasons—became his bitterest enemies. They conducted a furious struggle against him for many years, which ended in his downfall. Alvaro, who, in his hours of leisure, devoted himself to literary matters and wrote a book about celebrated women ("Libro de las Mujeres Ilustres"), was taken prisoner, dragged to Valladolid, and beheaded there, July 2, 1453. Friar Alfonso de Espina, the fiercest enemy of the Jewish race—to which he himself belonged—accompanied him triumphantly on his walk to the scaffold. idem, Historia de los Judios de España y Portugal, iii. 22 et seq.